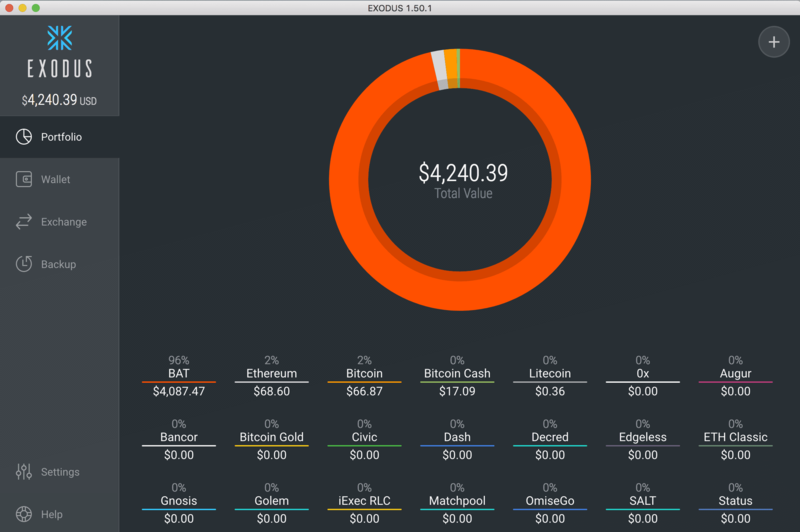 Exodus is a cryptocurrency wallet that operates like other software. It’s user-friendly and gives people access to a wide variety of coins. It’s not as safe as a Trezor or Keepkey, but is a great wallet, especially because of its Exchange feature. Disclosure: I don’t sell Exodus or have any relationship with them. 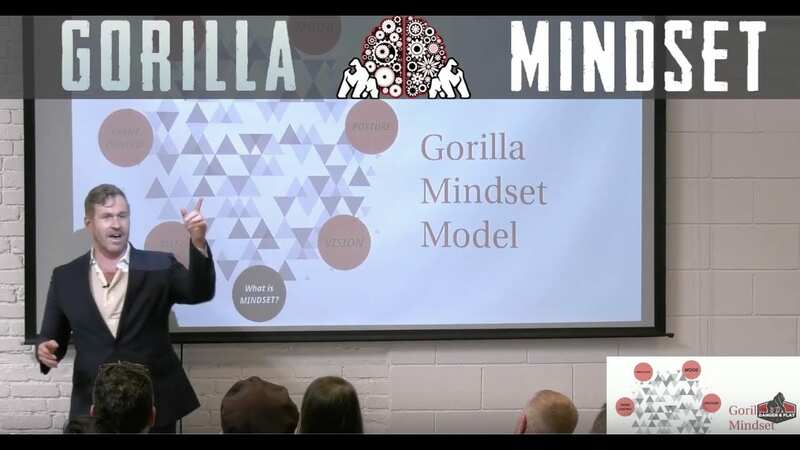 I’m the Gorilla Mindset guy, not your financial adviser. Nothing in this article is legal, tax, or investment advice. You can read my article and listen to my podcast on Bitcoin here. When you first install Exodus, you’ll be shown a 12-word recovery code. Store this in a safe place (or memorize it), as you’ll need it to recover your Exodus. You can recover your Exodus wallet in the event the device you have Exodus installed on is lost or stolen. Then you’ll create a password, and you’re ready to sign in. Once inside Exodus, you’ll find a lovely interface and have immediate access to your portfolio of coin’s as well as their market value. Exodus offers most of the major altcoins. You can your Exodus for Bitcoin, Bitcoin Cash, and altcoins like SALT, BAT, and Zcash. 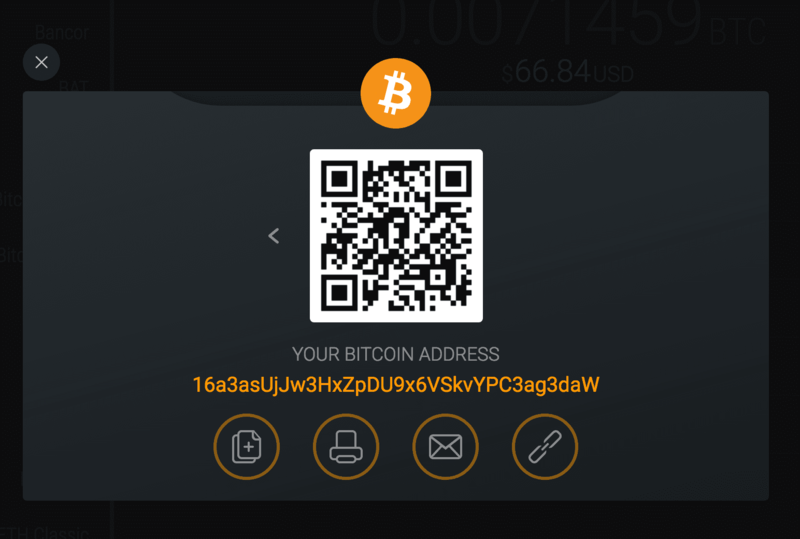 How to receive Bitcoin on Exodus. Go to the tab marked Wallet. You’ll see two buttons – one marked Sent and another Receive. 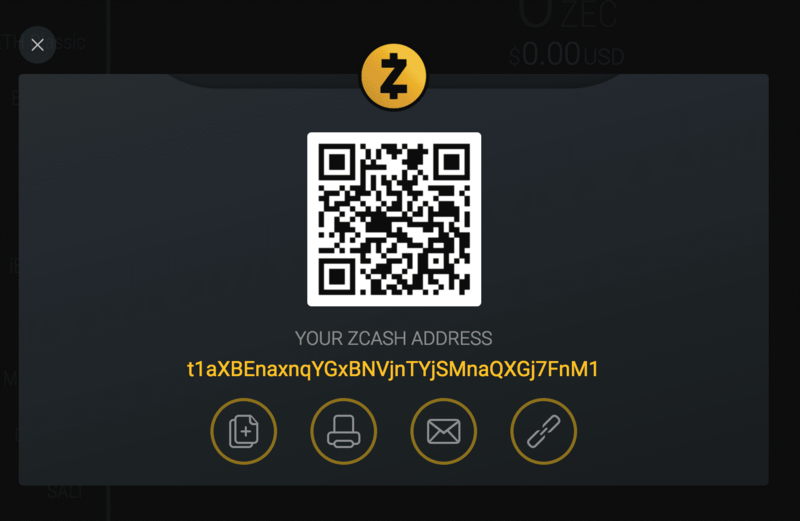 Click on Receive, and you’ll see your wallet address. 16a3asUjJw3HxZpDU9x6VSkvYPC3ag3daW is Cernovich’s Bitcoin Wallet address. 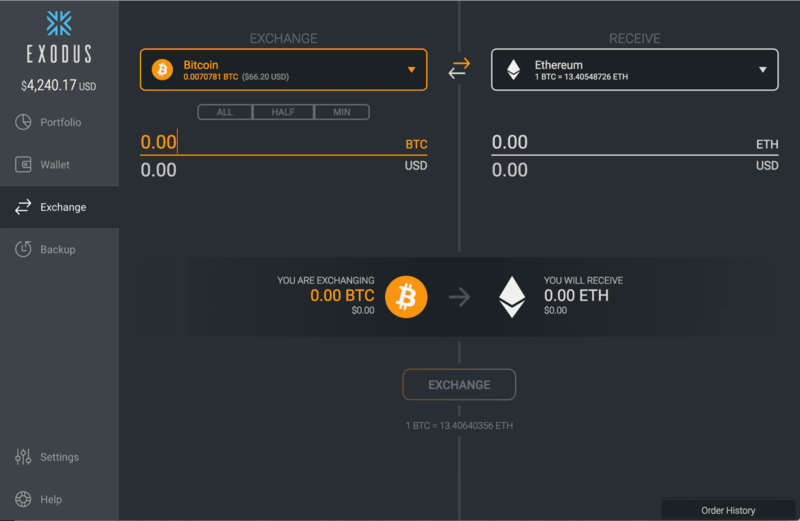 How to exchange cryptocurrency on Exodus. The best feature of Exodus is that you can easily exchange cryptocurrencies using ShapeShift. ShapeShift is a crypto currency exchange. Rather than trade dollars for Euros, you trade Bitcoin for altcoins. Let’s say you want to diversify your cryto portfolio, or want to buy another coin for whatever reason. And while I’m not giving YOU legal advice, I personally treat each ShapeShift as a taxable event. That is, if I exchange Bitcoin for Zcash, then I’ve sold my Bitcoin and thus must pay the appropriate capital gains taxes. 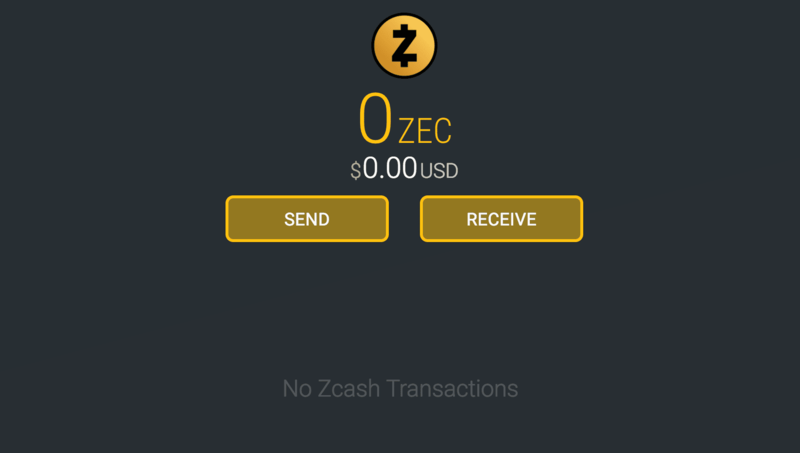 You can use ShapeShift to trade one altcoin for another, like Zcash. 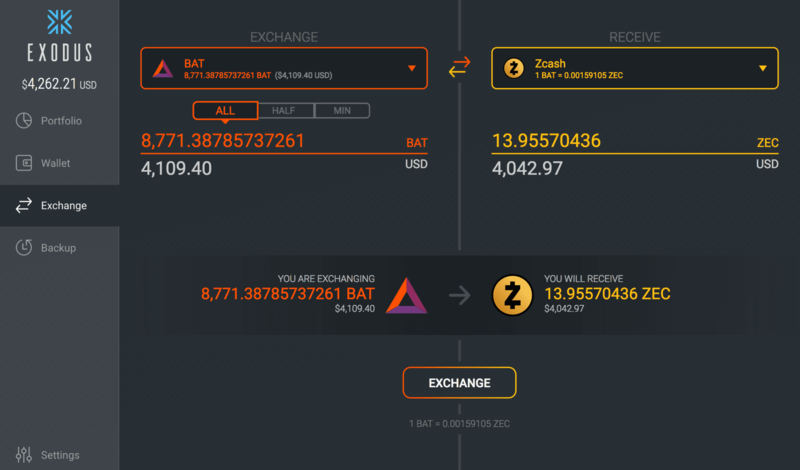 Is Exodus’ Exchange feature more expensive than using ShapeShift Directly? Some have noticed that Exodus’ Exchange feature has higher fees than on ShapeShift. Before making an exchange, check the fees for yourself on ShapeShift. Bitcoin is like physical gold, if you lose it, it’s gone. People with substantial crypto assets keep them spread out over several devices to mitigate the loss of any one wallet. The best hardware wallets are Trezor, KeepKey, and Ledger. If you’re keeping large amounts of money on any wallet, you should keep it “sterile,” that is, only use the device for a crypto transaction, and always use a VPN. 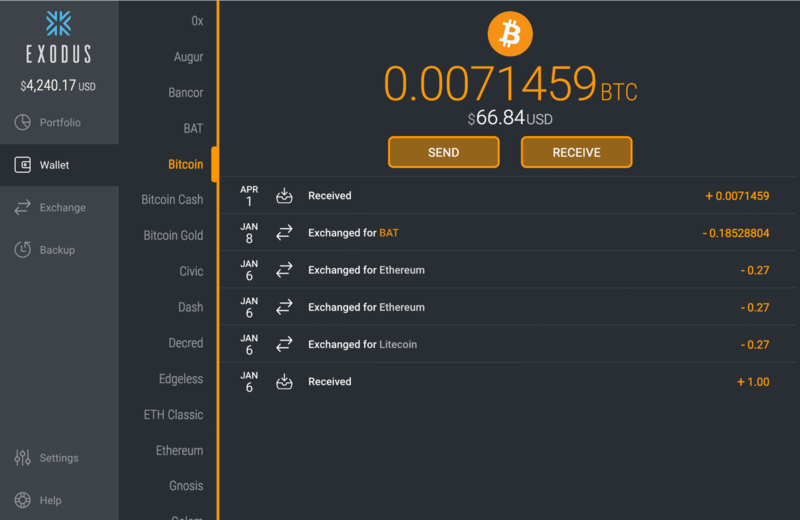 A lot of people will send Bitcoin to Exodus, use the Exchange feature to buy another currency, and then send that currency back to a hardware wallet. What happens if you lose your Exodus? 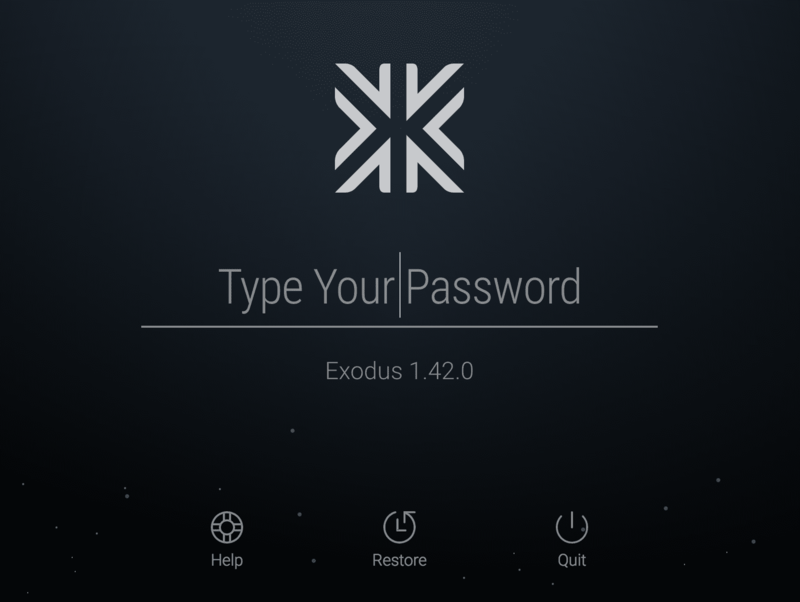 If someone guesses your password for Exodus, it’s game over. They can move all of your crypto within minutes. If you lose the computer you use Exodus on, you can recover it using your 12 word pass phrase. Hardware wallets aren’t for everyone. Like I said at the beginning of this article, the Exodus people aren’t anyone to me. I personally use Exodus and think it’s a top-tier wallet, and is the best software wallet available today. P.S. If you liked this article, subscribe for free to get more like it.